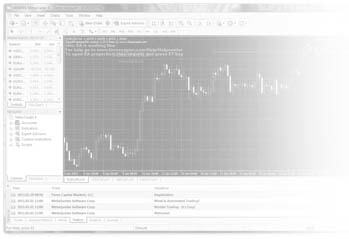 MetaTrader4 is a mature trading platform that over the years has proven to be immensely popular with both traders and brokers. There are now many millions of users worldwide and the platform itself has formed cult status in trading circles. For this reason we have chosen to provide our clients access to the world-renowned MT4 platform. An overview of the core functionality provided by MetaTrader4 Terminal is detailed below along with custom platform configuration that is exclusively available only to clients of XGLOBAL Markets. *Spread markup is applied and aggregated best bid/ask pricing only applies to FX securities. If you want to us MetaTrader 4 on the go you can also install the platform on your smartphone or tablet, and trade when away from your computer. We support all the most popular devices used today including iPhone, iPad and Android. Sign up and experience our competive trading conditions for yourself. Trade with us using your PC.